There’s no denying the power that social media has not only to connect people across the world, but also to connect them with products and services they want and need. Two billion people use Facebook each month, sharing their interests and goals, among other information, which allows for highly targeted ad campaigns. Our blog this week is an overview of Facebook advertising and what processes are involved in creating a successful campaign with tangible ROI. Read on for more. Before you begin a Facebook ad campaign, you’ll need to set some goals in place. What’s the ideal outcome you’d like to achieve by paying to advertise on social media? Depending on the nature of your business, you may want to increase brand recognition, drive users to your website for more information, drive them to your website to make a purchase, download an app, or more. Facebook divides these goals into three groups: awareness, engagement, and conversion. Once you visit the Facebook advertising platform, the company will guide you through the steps in creating an ad for one of these high-level purposes. The second question you’ll need to ask of yourself and your business is which segment of Facebook users would you most like to reach? 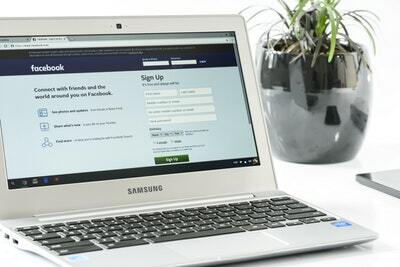 Facebook users share their interests on the platform, and the site tracks how they engage with various media, which includes content other users post and advertisements on the site. You can choose, to some degree, which users you would like to see your ads. Choose from demographics like age, location, gender, and even behaviors to create a targeted slice of consumers you would like to reach. This tactic works great if you want to boost interest among your core users or pique interest among a group you’ve had difficulty reaching before. Facebook owns another wildly popular app, Instagram, as well as select other websites in what’s called the Audience Network. When you set up an advertising campaign on Facebook, you may choose to advertise on these networks, as well. You can choose to advertise on these platforms on mobile applications, desktop, or both. If you’re unsure of where to start, Facebook offers automatic placements as well, designed to help you achieve your goal. You can set a daily budget for your advertisements or set a maximum “lifetime budget” for a campaign. You’ll also set a schedule for when you’d like your ad to run. Facebook offers several formats in which you can personalize your advertisements. Choose from single or multiple photo formats, videos, and more. You’ll need to carefully consider your audience when choosing what formats will be most eye-catching and drive conversions. Just as Google Analytics provides insights into who visits your site and how they interact with it, Facebook offers tools to evaluate how your campaign performs. It’s important to track your performance especially if you’re launching a new campaign, so you can see what works and what doesn’t. By carefully tweaking your ads, you can ensure you’re spending your money in the most efficient manner. Managing an ad campaign on Facebook takes time and dedication. If you’re unable to commit to setting up an account and monitoring its success, a social media manager or digital marketing company can assist you. A marketing specialist will create targeted Facebook ads and deliver regular reports to show your progress. Now that you have a basic overview of Facebook advertising, you can better decide if using this pervasive platform is right for your business.